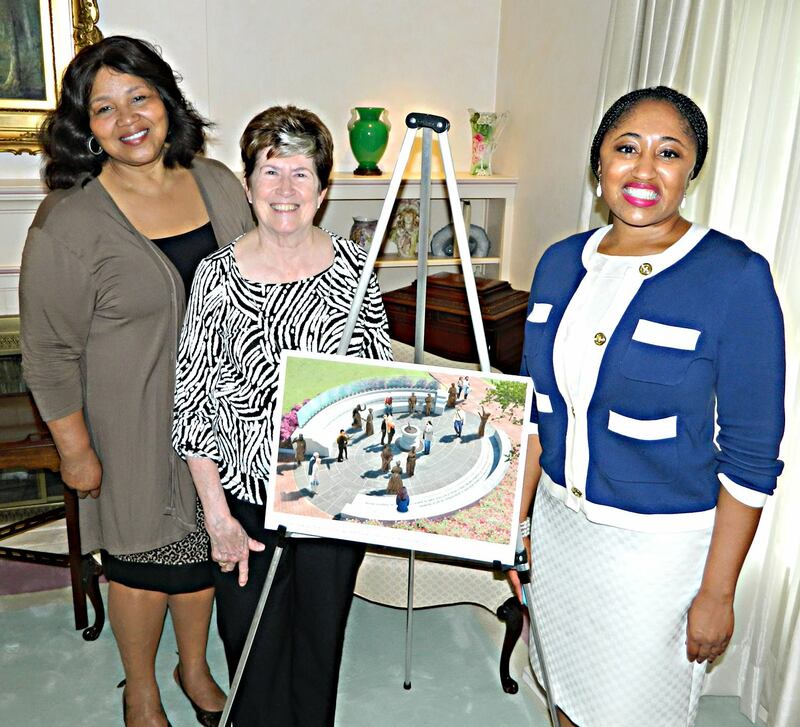 The Virginia Capitol Foundation announced that the granite plaza foundation for Voices from the Garden: The Virginia Women’s Monument is completed and soon will be open for viewing by the public. 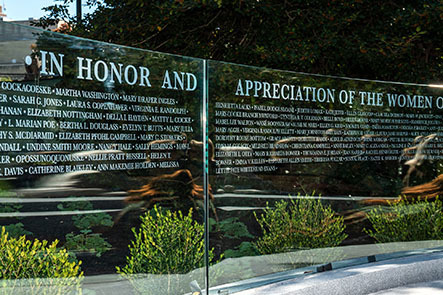 In addition, the 230 Virginia women whose names are inscribed on the monument’s glass Wall of Honor were revealed. Announcements were made at a special event at the monument’s location on Capitol Square. First Lady Martha Washington is out of the history books and back in the spotlight due to her selection as one of the 12 bronze statues in Voices from the Garden: The Virginia Women’s Monument, the first monument in the nation to honor the contributions and achievements of women over the 400-year history of Virginia. 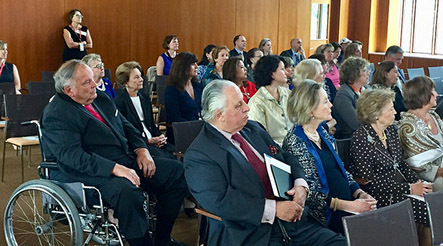 A luncheon and presentation celebrating America’s first presidential wife was held at Mt. Vernon on Sept. 12. Participants were treated to a special behind-the-scenes viewing of some of Martha Washington’s personal possessions. Also, a scholarly discussion of the Martha Washington Papers gave attendees a better understanding of her private life during the Revolutionary War years and during her eight years as First Lady of the fledgling nation. Following the tour and presentation at Mt. 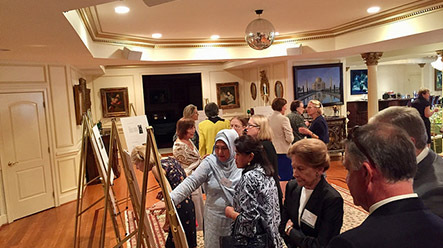 Vernon, a luncheon was held at the home of Shaista Mahmood, hosted by Mrs. Mahmood and former Virginia First Lady Susan Allen. Co-hosts of the event were Nadene and Doug Bradburn, Maggie and former Virginia Lieutenant Governor John Hager and Mary Lou and Charlie Seilheimer. 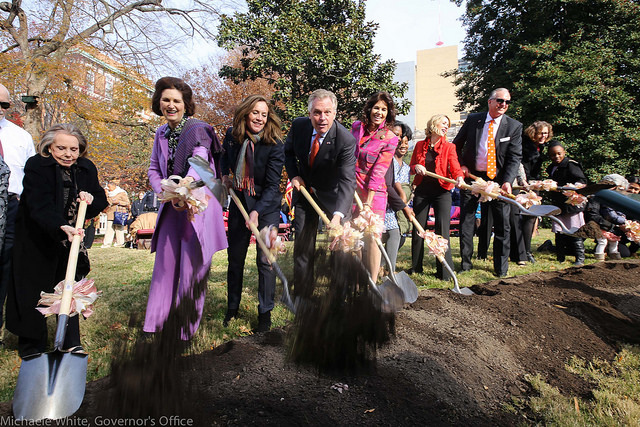 Many of Virginia’s First Ladies served as Honorary Co-hosts of the event including Pamela Northam, Dorothy McAuliffe, Anne Holton, Lisa Collis, Susan Allen, Jeannie Baliles, Lynda Robb and Virginia “Jinks” Holton. The photo shoot took place on May 17, 2018, in Brooklyn, New York. The photo shoot is part of the art direction for the Virginia Women’s Monument and the next step will be for StudioEIS to begin scanning and printing 3-D depictions of the statues. The models served as muses for the soon-to-be statues. The Women's Monument Commission broke ground on Phase 1 on December 4, 2017 at the Memorial Plaza. 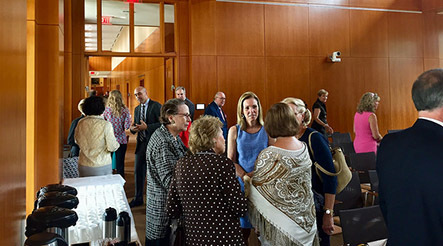 Preceding the groundbreaking ceremony on Capitol Square, there was a private fundraising breakfast celebrating the founders of this project. The proceeds will benefit the casting of the bronze statues and will help the Women's Monument Commission reach the matching funds necessary to unlock the Cabell Foundation Grant. 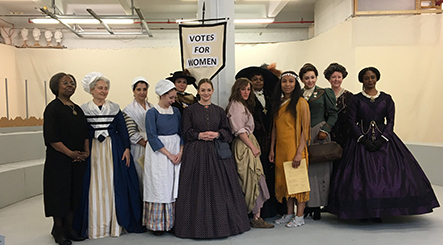 The event supported the monument honoring contributions of Virginia women and proceeds help fund the sculpture of Adèle Goodman Clark. 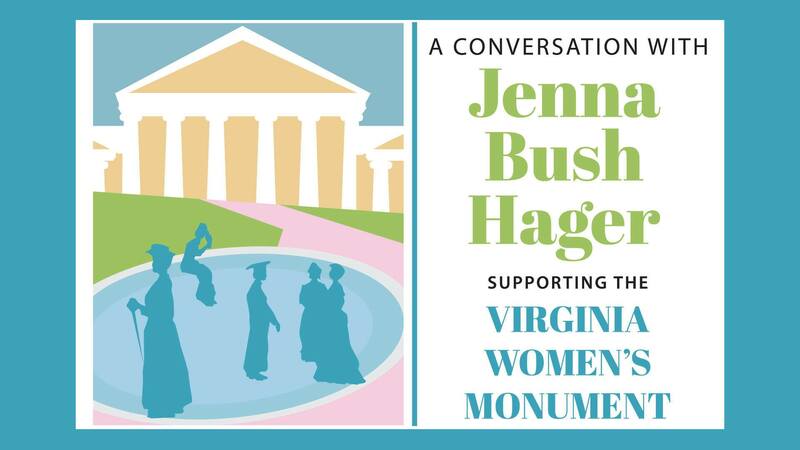 Jenna Bush Hager, author and television personality, daughter of President George W. Bush and First Lady Laura Bush, headlined the special event hosted by the Virginia Capitol Foundation to raise awareness of and build community support for "Voices from the Garden" – the Virginia Women’s Monument on Capitol Square. This marks Hager’s first public speaking appearance in Richmond.